Merseyside Movers understand that Piano’s are highly prized and expensive instruments. Their size and weight means that enormous care and attention is needed when moving them. It is not a job for amateurs. 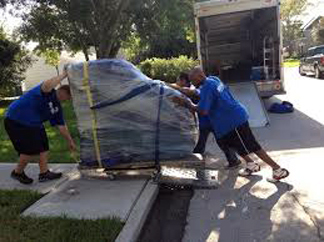 We have the experience and expertise necessary to move your piano safely to its new home. Pianos are moved using our own specialist piano removal equipment. Your instrument will be carefully wrapped and protected, after any dismantling, before it’s moved from it’s current location. We have full liability insurance cover for peace of mind to our customers and are teams are all fully trained to move uprights and Grand pianos. A specialist vehicle with a tail lift is used and we can move your piano to any destination National or International. 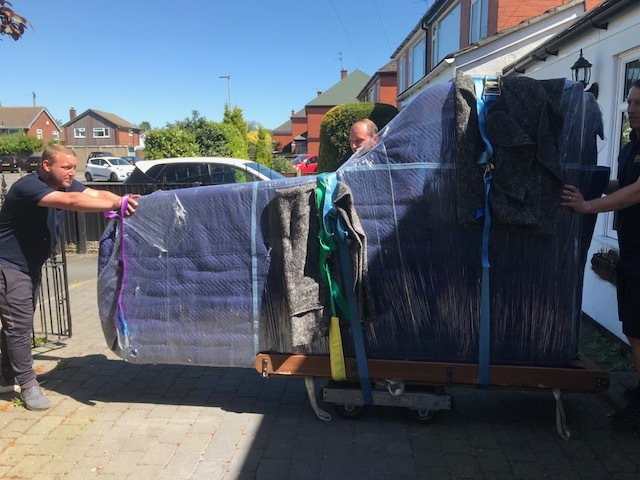 Please check out our testimonial page and see the fantastic feedback we get on a regular basis to give you confidence that in choosing Merseyside Movers to move your piano you are making the right choice. John and his team did a great job from start to finish which included a site visit before the move to make sure there would be no issues. Despite the fact that there was a number of obstacles the team were able to safely move my piano to its new destination, expertly wrapping, disassembling and reassembling it as necessary, and all under John’s careful guidance. My piano is a refurbished 1918 Steinway Concert Grand Model D in French-polished Rosewood; it’s absolutely irreplaceable and one of a kind. It says a lot then that I wouldn’t hesitate to use John and his team again, and just want to thank everyone at Merseyside Movers for their care and professionalism. Thank you very much Darrin for you very kind review. Thanks for the business and enjoy your Steinway. 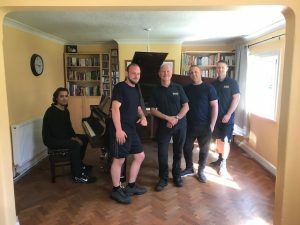 We recently enlisted John and his team at Merseyside Movers to carry out various piano moves within the music department at the University of Liverpool, including a Grand piano, which had to be relocated from the first floor down to ground floor level, negotiating tight corners along the way. The piano was wrapped up and secured with great care ahead of the move. John was very quick and thorough with the preparation of a quote, and the cost was very competitive. 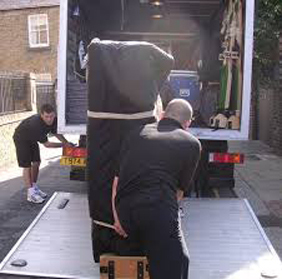 If you are looking to book expert piano movers and expect professional service, I would recommend Merseyside Movers. Piano move – excellent service. Thanks from Churchill College, University of Cambridge.